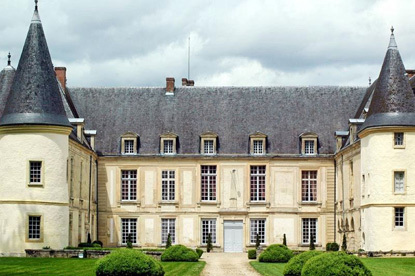 Ancestral home of the Princes of Bourbon-Condé, the castle passed into the hands of other illustrious families such as the House of Savoy, the Marquis de la Faye and Comtes de Sade. The castle is open from 15th April to 15th October from 2:30 pm to 5:30 pm. It is closed on Mondays. Admission to the park, Princes' gallery and little soldiers' collection costs 6.5 € for adults and 4 € for children. The complete visit with the castle's bedrooms and drawing rooms costs 10 € for adults and 5 € for children.